Bahrain Petroleum Company (BAPCO), wholly owned by the Government of Bahrain, is engaged in oil exploration, drilling, production, and refining, and in the distribution, sale, and export of crude oil, refined products, and natural gas. The company owns a 250,000 barrel-a-day refinery, storage facilities for more than 14 million barrels, a marketing terminal, and a marine terminal for its petroleum products. BAPCO's prime customers for crude oil and refined products are based in the Middle East, India, the Far East, Southeast Asia, and Africa, and 95 percent of its refined products are exported. 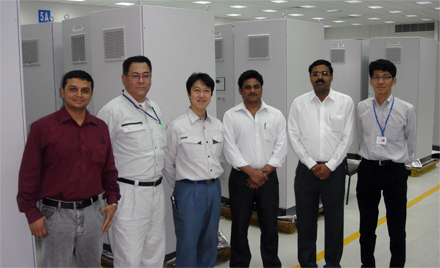 BAPCO was using Yokogawa's Unix-based CENTUM CS process control system to control operations at its refinery tank farm. 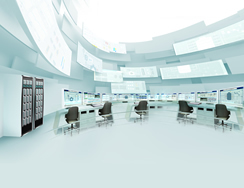 Due to the obsolescence of this Unix-based system, BAPCO decided to replace it with Yokogawa's latest CENTUM VP distributed control system (DCS). In addition to the upgrade of this key tank farm system, BAPCO also replaced its oil movement system (OMS) with a Yokogawa's OMS based on Windows 2008 Server - Enterprise Edition. Proper planning and good teamwork during the design phase along with a thorough factory acceptance test (FAT) ensured that the cutover to the new system could be carried out without having to shut down the fuel oil blender, which normally runs 24x7. It is worth mentioning that the project team was able to start up the new system six hours ahead of schedule due to excellent coordination between the various departments that were involved in this process. 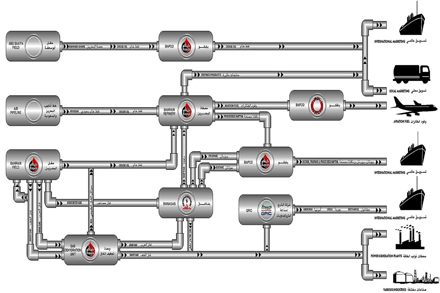 The oil movement system package installed in the refinery tank farm control building is very specialized software that monitors and controls the blending of gasoline, diesel, and fuel oil, including complicated tank to tank, tank to unit, and unit to tank transfers. 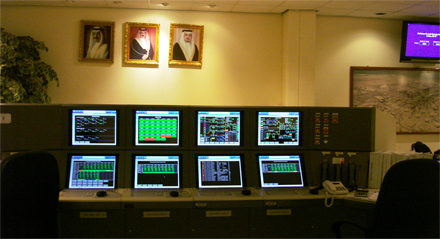 As called for in the refinery operations planning (ROP) specifications, the monitoring and control of oil movement between the refinery and the company's facilities on Sitra island and the blending of fuel oil, diesel, and gasoline is automated through the use of property and ratio control to minimize operator intervention and keep the product properties on specification. The success of this project was made possible by excellent and commendable teamwork between BAPCO's OS&E, Plant Engineering, ROP, Plant Maintenance, and PC&I departments. The project scope involved the installation of new CENTUM VP consoles in the control room and the replacement of redundant central processing units (CPU) and installation of new oil movement servers in the refinery tank farm control building and ROP office. Taking advantage of the advanced features of the CENTUM VP DCS, the process graphics and system parameters were also enhanced to provide the operators with up-to-date information for the smooth running of BAPCO's day-to-day operations. System maintenance will be easier to carry out. It will be possible to conduct test environment and modification preparations more quickly. Future modifications will cost less to implement. The long-term market availability of system hardware is assured.